The Foreign Language Placement Tool is offered online for French, German, Latin, and Spanish. For languages other than these four, please contact Dr. Michelle Scatton-Tessier, Chair of the Department of World Languages and Cultures. 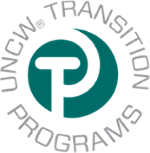 All UNCW students are required to take at least one course in a foreign language to complete University Studies requirements (some circumstances may require more). Students who never took a high school course in the language they intend to study at the University or only took one course of that language in high school. Students who are transferring foreign language credit from another institution. For more information about the Foreign Language Placement Tool and to access the tool, visit this website. Students continuing to study a foreign language that they studied in high school must use the Foreign Language Placement Tool prior to Orientation. This tool is crucial for registration so please do this prior to attending Orientation. University Studies requires students to obtain proficiency through the 201-level in a language previously studied or the 102-level in a second foreign language not previously studied. Those who wish to take a language not previously studied and those with no high school language and/or no college transferred languages do not need to use the placement tool. For more information, visit the Foreign Language requirement website or the Foreign Language Placement website. All incoming freshman and some transfer students take the UNCW Math Placement test; however, some students may be exempt (see next question). The test is given as part of Orientation. Students scoring 22 or higher may take MAT 111, MAT 141, MAT 142, STT 210, or STT 215 without take the math placement exam. Students scoring a 2 on AP Calculus AC or BC may register for MAT 151 or MAT 161 without taking a math placement exam. Students scoring a 3 or higher on AP Calculus BC will get credit for MAT 161 and MAT 162. Students who have passed a CLEP math exam or already have college-level credit for MAT 111, MAT 112, MAT 115, MAT 151, MAT 161, MAT 162 or IB Math (minimum score: 5). If you are an incoming freshman and need to take the Math Placement test, it will be offered on Day 1 of Orientation. You can find more information and sample questions to prepare for the exam by going to the Math Placement website. It is very important to take the math placement test seriously. If, however, you feel the need to retake your exam, please contact the Department of Mathematics and Statistics at MathStats@uncw.edu or 910-962-3290.